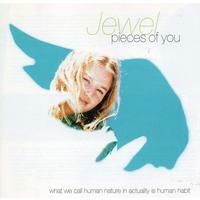 Features "You Were Meant For Me," "Who Will Save Your Soul" and "Foolish Games"
Pieces Of You is Jewel's 1995 breakthrough album, featuring the hit singles "Who Will Save Your Soul," "Foolish Games" and "You Were Meant For Me." Pieces Of You is one of the best-selling debut albums of all time, having sold more than 12 million copies, and was listed at No. 64 on the Definitive 200 list by the Rock and Roll Hall of Fame. The vinyl reissue features five songs not included on the original CD release.